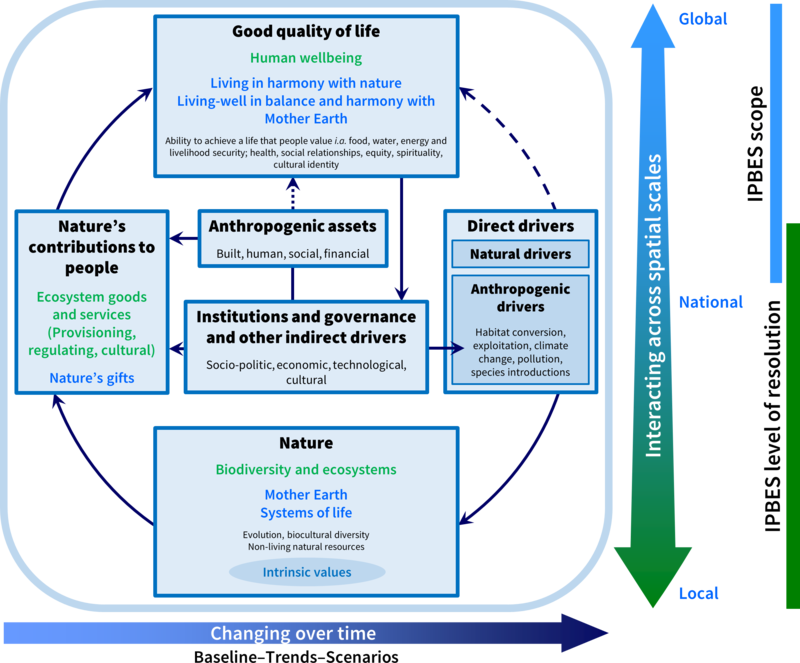 This is a minor update of my previous (June 2014) post (“Analytical Conceptual Frameworks of IPBES”) at http://j.mp/IPBES. There was a small change from the Intergovernmental Platform on Biodiversity and Ecosystem Services (IPBES). 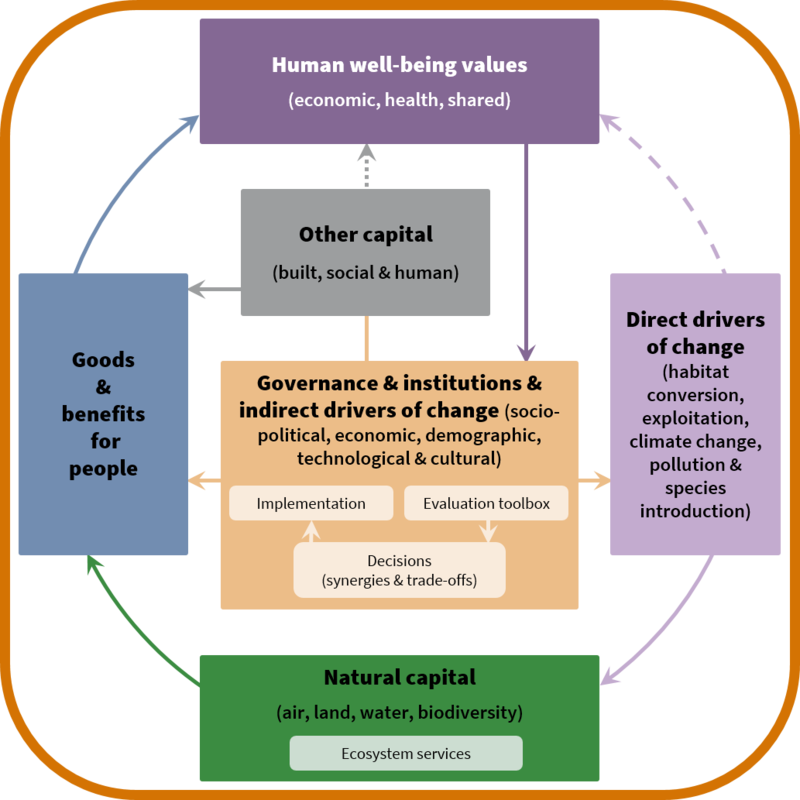 The word “benefits”, with its strongly positive connotation, wrongly conveyed the idea that negative contributions from nature towards peoples’ good quality of life would be excluded. The different meanings of the word “benefits” in common speech in different languages as well as in the social sciences and the valuation literature represented potential sources of confusion. 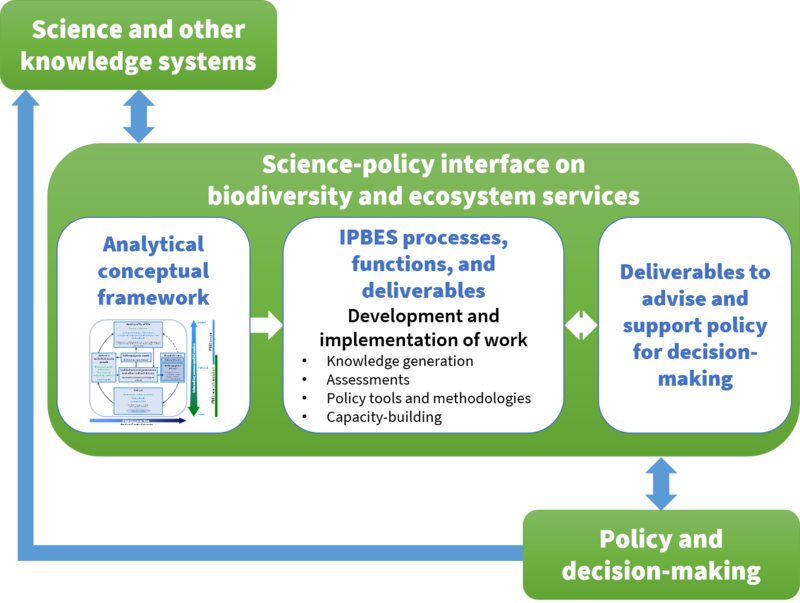 So, I have updated the Analytical Conceptual Frameworks of IPBES. Please note that “only images and web-links” are updated. All the remaining are the same. Source: My drawing based on IPBES-5.